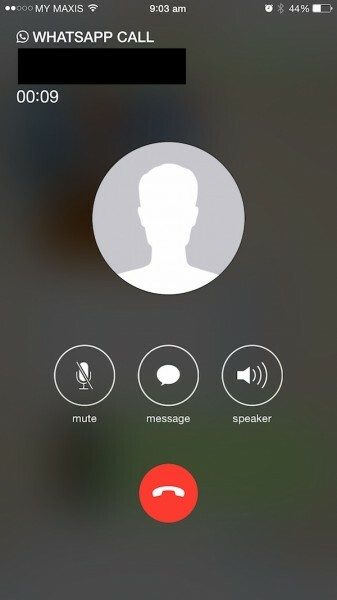 After weeks of waiting, it looks like WhatsApp Voice Call is finally ready for iOS devices. For those of you who are using WhatsApp on your iPhone, it’s time to check the App Store for an update. Earlier this morning, WhatsApp rolled out an update to its iOS app. The update log says that the app now supports WhatsApp Calling, allowing you to call your friends for free however, do note that the feature might not be available immediately. WhatsApp says “WhatsApp Calling is rolling out slowly over the next several weeks”, so we have no choice but be patient and wait a little longer. Fortunately though, based on initial tests, those with WhatsApp Call will be able to call you however, you will not be able to return the call. WhatsApp v2.12.1 also brings better integration with iOS 8’s new sharing capability. This means that you can easily share pictures, links and such to your WhatsApp contact directly from third party apps. Other changes include a “quick camera button in chats” that makes it easier to send pictures and videos to friends, the ability to send multiple videos at once and crop and rotate videos before sending them, as well as edit contacts right from WhatsApp. It’s great to finally see some significant update for WhatsApp on iOS. Now if only the team can solve the iOS restriction problem to bring WhatsApp web to the rest of us. If you still can’t call on your WhatsApp yet, check out our list of WhatsApp Voice Call alternatives.